 Home > Travel > Flight > Budget Airlines > [Jetstar] Still want to go to Yangon? [Jetstar] Still want to go to Yangon? We noticed that you recently started to book a flight to Yangon. Our prices change frequently, and we'd hate for you to miss out on a great fare. So follow the link above to view the available fares and make that booking! Next: Scoot: All-in Round Trip Special Fares for 12 Multi-City Routes from just SGD188.70!